Get the tools and resources I recommend for busy professionals, entrepreneurs and leaders just like you. My most recommended tool is an application I’ve lived by to help me stay organized at all times. With Evernote, I can document ideas from books I’ve read and organize my podcast show notes. You can organize notes within a notebook, and even embed notebooks within a larger notebook. Lastly, it’s accessible wherever you go. Curious how I stay on top of social media the way I do? This is one of my secret ingredients. I’m everywhere, at all times, even while I sleep, eClincher has me actively engaged throughout my various social media channels. This tool keeps my posts going even while I’m working or at an event with my family. You absolutely have access to a bunch of cloud storage solutions out there, but nothing for me has been as seamless as Dropbox. I’ve been with them pretty much since their inception and I wouldn’t have it any other way. I host my websites on SiteGround because they are amazing at providing a superior hosting service and exemplary customer service. They also keep improving their infrastructure non-stop, so I feel safe and I’m just overall happy with their service offerings. The easiest way to manage and visualize all your projects and tasks, and especially assigning and managing team projects. Asana gives you the ability to stay in sync across devices, hit your deadlines and reach your goals. When you're looking for great brand resources, templates and mock-u[ps, look no further than Creative Market. This website is full of amazing templates, whether you're looking to update your resume, social media posts or looking for an amazing powerpoint presntation. Libsyn is your one stop solution for everything you need to host nad manage your podcast audio. They are also great at getting your podcast in the various podcast directories and can even help turn your show into an App. I love their stats features, which allows me to see the countries where downloads are taking place. Use CODE: BRAND YOU for a free month's credit after you sign up. I record my podcast interviews using Zoom. I now capture both audio and video, and Zoom brings HD video and audio to your meetings. You can now record your meetings locally or to the cloud. Zoom Meetings for desktop and mobile provides the tools to make every meeting a great one. I schedule all my podcast interviews and paid consultations using Calendly, which is also able to integrate with Zoom and Paypal. I can set date ranges and times I’m open to interviews and block specific dates. I also love that they send replies and reminders on my behalf for meetings. This is the only mic I’ve used over 3 years as a podcaster. 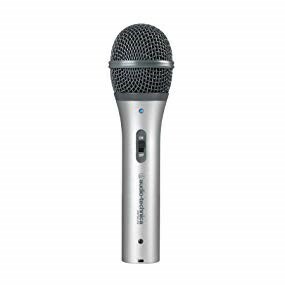 This rugged handheld microphone offers two outputs, USB output for digital recording, and an XLR output that connects with your mixer board. 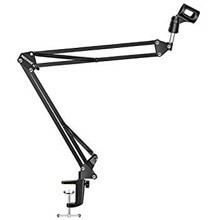 Ideal for radio broadcasting studio, the Scissor Arm Stand is equipped with super-strong spring so that it can stand much more weight. Your microphone is held safely and firmly on this scissor arm microphone clip. 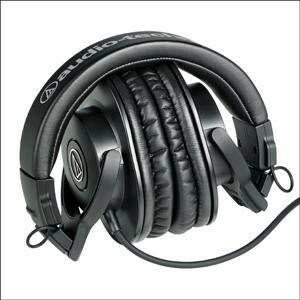 Professional monitor headphones that deliver a comfortable listening experience, with enhanced audio clarity and sound isolation. Tuned for highly detailed audio, with strong mid-range definition, these versatile monitoring headphones are ideal in a variety of situations. Affiliate Disclaimer: Please note that some of the links on this page are affiliate links and I will earn a commission if you purchase through those links. These are all things that I currently use or have used before and I am recommending them because they are helpful and are companies that I trust, not because of the commissions that I may earn from you using these products and services.